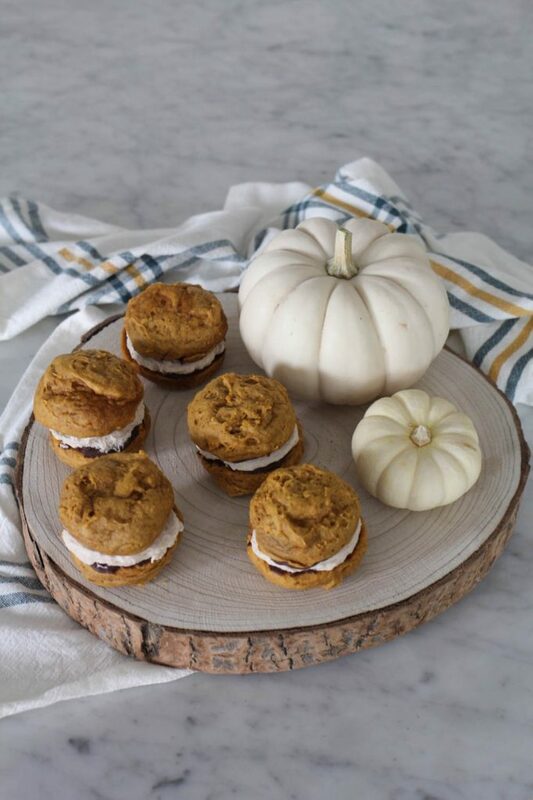 For the longest time, I’ve been thinking about developing a recipe for pumpkin whoopee pies. Finally, it happened. 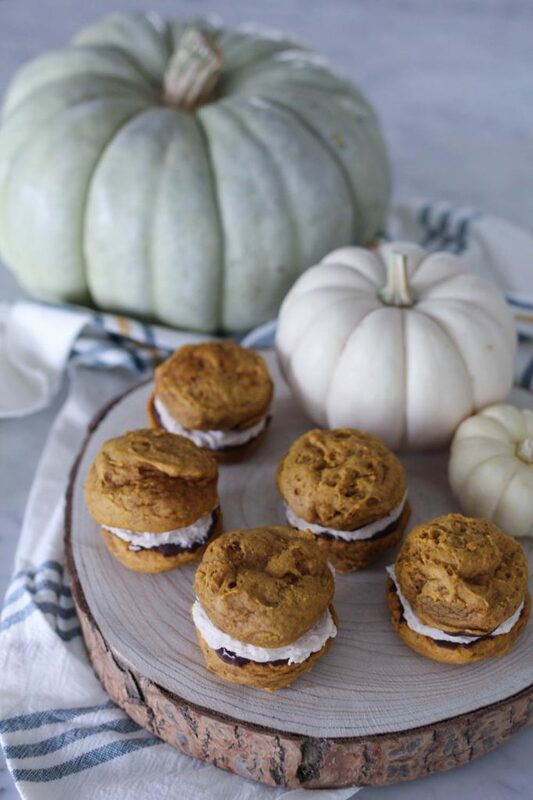 This recipe for Chocolate Dipped Pumpkin Whoopie Pies is every pumpkin and chocolate lover’s dream come true! October- the month that throws all caution to the wind regarding pumpkin treats! One of the things I love about October is the license to enjoy everything PUMPKIN. Pumpkin bread, pumpkin muffins, pumpkin cookies. Ahhhhhh the classic pumpkin cookie. It was always a favorite of mine, but with chocolate chips added, it was perfection… almost. My favorite pumpkin chocolate chip cookie has a fresh lemon icing that just can’t be beat! 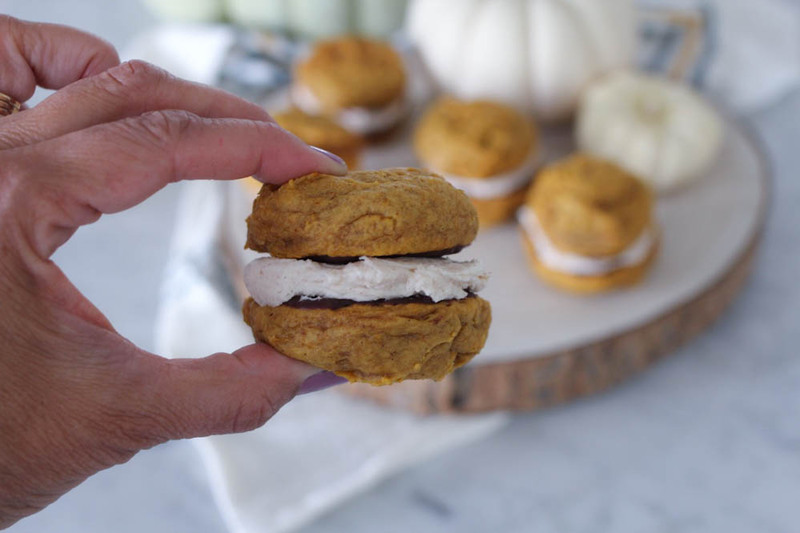 But nothing, I repeat nothing beats this recipe for Chocolate Covered Pumpkin Whoopie Pies! Last year, when I ate a whoopee pie at a local restaurant, I started thinking about making a pumpkin whoopee pie. What to put in the filling? Something maple and salt. Sounded good, but I wasn’t sure maple would appeal to the masses. Just a plain vanilla filling? Too bland. How about adding a little pumpkin spice? The more I thought about the pumpkin whoopee pie, I knew it had to be special. Something out of the ordinary. I knew chocolate had to be included. But how? How to incorporate chocolate easily, but without adding it to the cookie or “pie” portion? That’s when dipping the baked cookie into melted chocolate chips came to mind. Some recipes I make over and over until it comes together. And some (a very few), come to my mind and play out just as I think they will. First try. For this cookie, first time was a charm. This recipe was, and is, the bomb. BOOM. Perfection in a cookie. Not just for October. How about November. And December. After tasting Chocolate Dipped Pumpkin Whoopie Pies a few times, I knew this was not an ordinary cookie. It is big enough to be a dessert that can stand alone. As in, serve it on a dessert plate to guests kind of dessert. Or, with a scoop of vanilla ice cream and dust the whole plate with powdered sugar kind of dessert. The possibilities are endless. Have guest for the holidays that don’t love PIE? 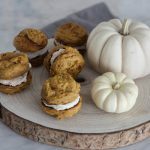 Instead of crossing them off the guest list (haha) make a batch of Chocolate Dipped Pumpkin Whoopie Pies and serve them on a pretty platter as a simple make-ahead alternative to pie. They stay well covered tightly for 3-4 days. I place a sheet of parchment over the top (to prevent sticking) and cover with a plastic top made especially for my jelly roll pans. You may also use a sheet of foil over the parchment. This recipe is done in 5 simple steps. If you use the fridge to cool the cookie and also set the chocolate, the process takes less time. Start to finish, you’re looking at less than an hour for 12 substantial filled cookies or 24 halves. That’s it. 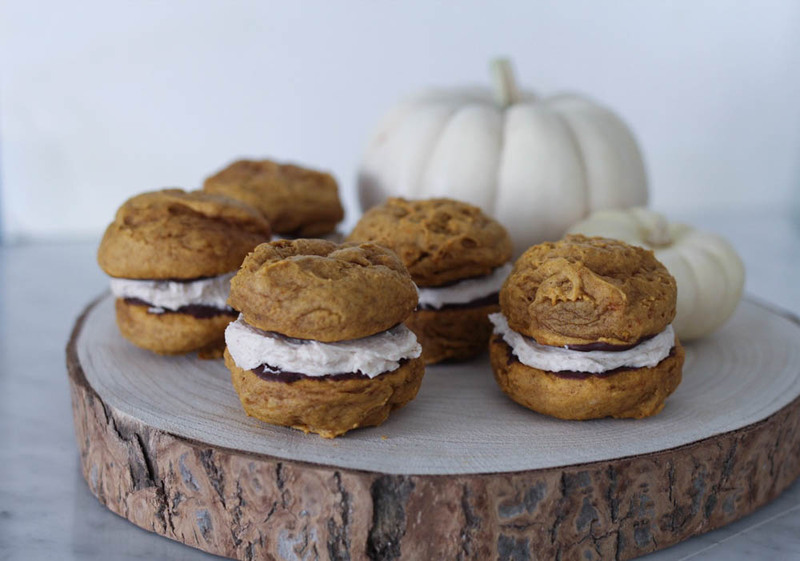 I know you’re going to love ABK’s Chocolate Dipped Pumpkin Whoopie Pies this holiday season. Happy baking! 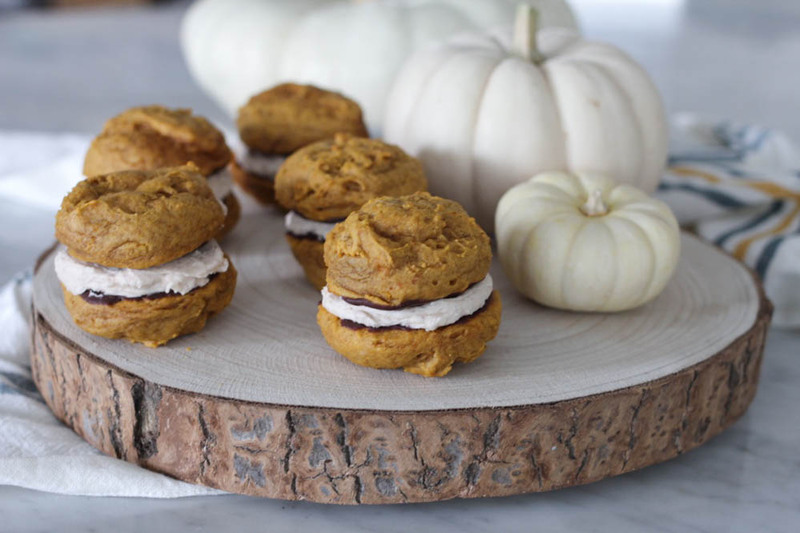 ​Chocolate Dipped Pumpkin Whoopie Pies are an out of the ordinary holiday treat! Can be served as a casual cookie or a dessert for your next holiday gathering. In a large bowl, beat eggs and brown sugar until smooth. On low speed, mix in rest of wet ingredients. Scrape down sides of bowl. Add the dry ingredients to the bowl and mix all at once. Mix just until wet and dry ingredients are incorporated. Do not over mix. Bake until the tops feel firm about 10 minutes. 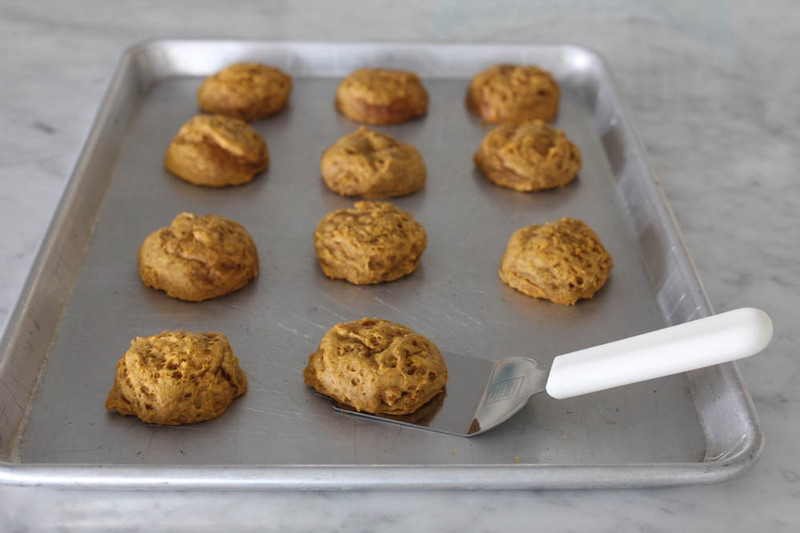 Remove cookies from baking sheet and place all cookies in a single layer on a cool baking sheet. Place in fridge until cooled completely, about 10 minutes. Meanwhile, melt chocolate in microwave for about 30 seconds, stir, repeat until chocolate chips are melted. Do not over heat, the chocolate will burn easily. Stir until smooth. When cookie are cool, spread about a teaspoon and a half onto the bottom of the cookie. Place back in fridge when all cookies are coated. Refrigerate for another 5-10 minutes or until chocolate is hardened. While chocolate is setting up, make filling by beating all ingredients together until smooth, scraping down sides of bowl to incorporate all ingredients at least once. Beat for another minute until light and fluffy. When chocolate is set, Spread filling onto the chocolate coated side of one cookie. Place another cookie on top to form a whoopee pie. 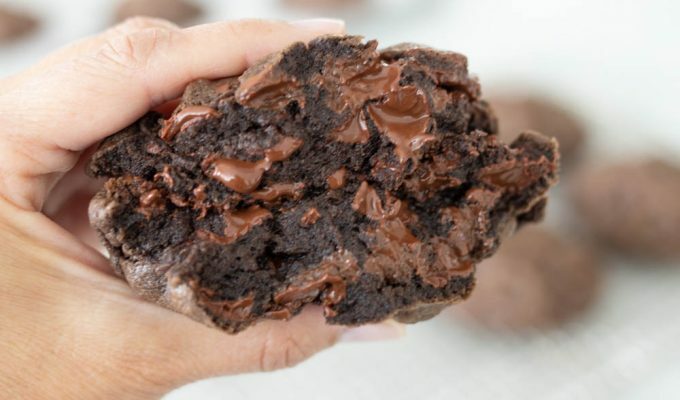 Alternately, you may frost the top of the cookie and serve the cookie as a single piece with the chocolate dipped bottom and frosted top (see photo on post). Refrigerate or store in cool place on counter, covered. 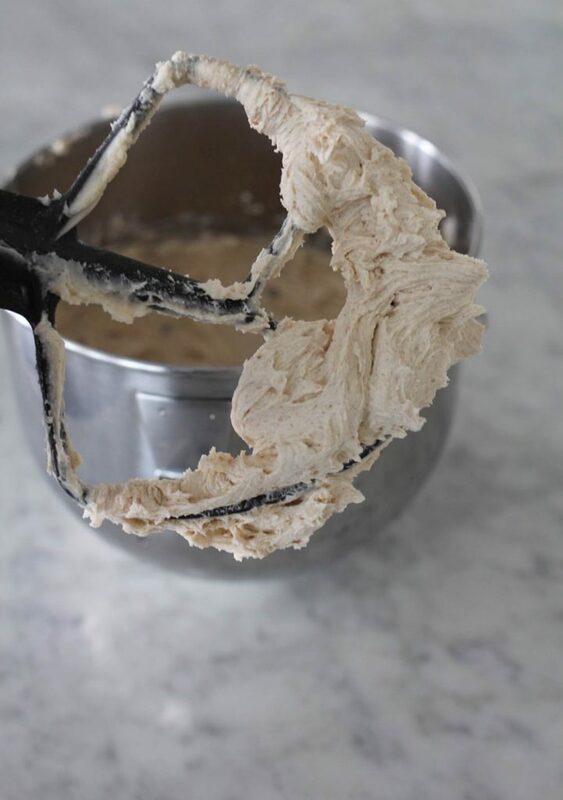 I used a #30 scoop or a scoop that holds approx 2 tablespoons of dough. You may use a smaller scoop if desired, reduce the baking time accordingly. When covering, use parchment paper to cover the cookies so they won't stick to the top of the lid or cover. The cookies are very moist and will stick easily. This cookie needs to be cooked completely, no wet dough in the center. Do not under bake this cookie! Thanks Patricia! Correction noted. Thanks for being my proof reader today! Did you mean to type 1/2 tsp pumpkin pie spice? Not pumpkin pie filling in the cookie recipe? Yes! Thanks Bonnie. I just made the correction! Making for the second time in as many weeks. Staff loved them, and now will take to residents. Thank you for the recipe!! When you put them back in the fridge to cool after dipping them in the chocolate do you set the dipped side down on parchment paper or waxed paper? Hi Nancy, I would use parchment paper to cook the cookies on. And then you place the chocolate dipped side up in the fridge until it has hardened. Thanks for asking!